Living with Alzheimer’s disease or dementia can be difficult, not only for the person experiencing it, but for the loved ones that surround them as well. At River Pointe Health Campus, we have a specialized team dedicated to turning those challenges into positive moments for everyone. Residents of our Memory Care neighborhood receive the highest quality care from a team who is invested and committed to opening the door to smiles, laughter, and warmth every day. As a Trilogy community, we are not only a destination for top Memory Care services, but an expert source in the methods that will serve your loved one best. Our Daily Rhythms program engages your loved one with protocols embraced by several national Alzheimer’s advocacy groups. We schedule residents’ days to offer them comfort, familiarity, and engagement. Residents of our Memory Care neighborhood experience life as it’s meant to be lived. Although memories may be fading and everyday tasks are harder to complete alone, there is still plenty of room for happy interactions, heartfelt connections, and simple achievements. Our team gets to know your loved one on a personal level to make those encouraging moments an everyday occurrence. No matter the stage of memory loss your loved one is in, you can count on us to be there with them every step of the way. 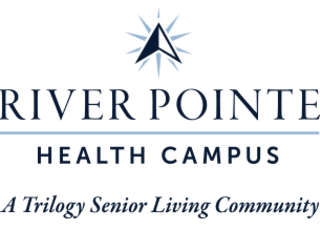 Learn more about the Memory Care services at River Pointe Health Campus. Contact us today to speak with a member of our team.